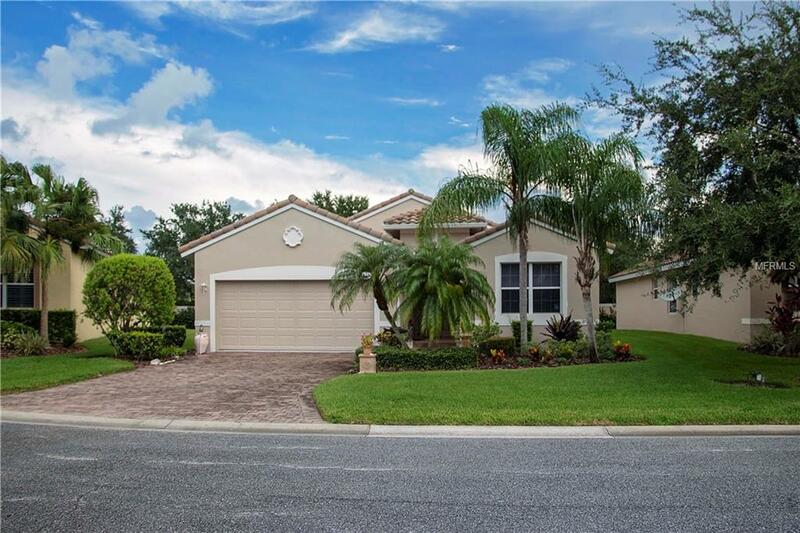 Enjoy our spectacular Florida lifestyle in this Over 55 Community of Cascades. Our owners can enjoy a variety of activities fromindoor/outdoor pool, tennis courts, fitness center, arts and crafts studio with 2 kilns, clubhouse for activities, meeting room for card games,and billiards. 24 Hour Security for peace of mind for the entire community. This popular floor plan has open plan living room, diningroom and kitchen with separate dining nook. All appliances included, pull out drawers in cabinets. An abundance of natural light fromthe many windows and sliding glass doors. Spacious master bedroom, 2 walk-in closets and a huge master bath with double vanities,makeup table, beautiful tiled shower, and garden tub. A guest room and den/office completes this wonderful villa. Screened lanaito the rear to enjoy the landscaped view and many birds and wildlife.